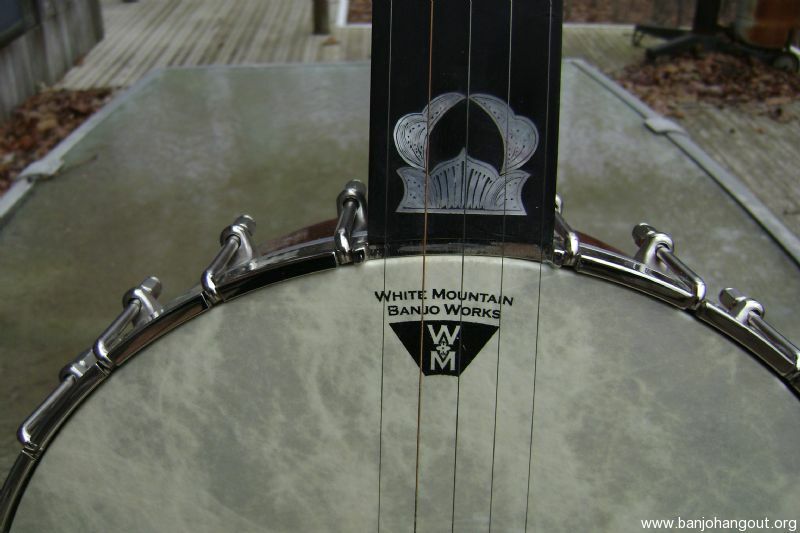 I put this banjo together from pot, and neck I bought from White Mountain Banjo Co. when they were going out of business, and it came out very nice. 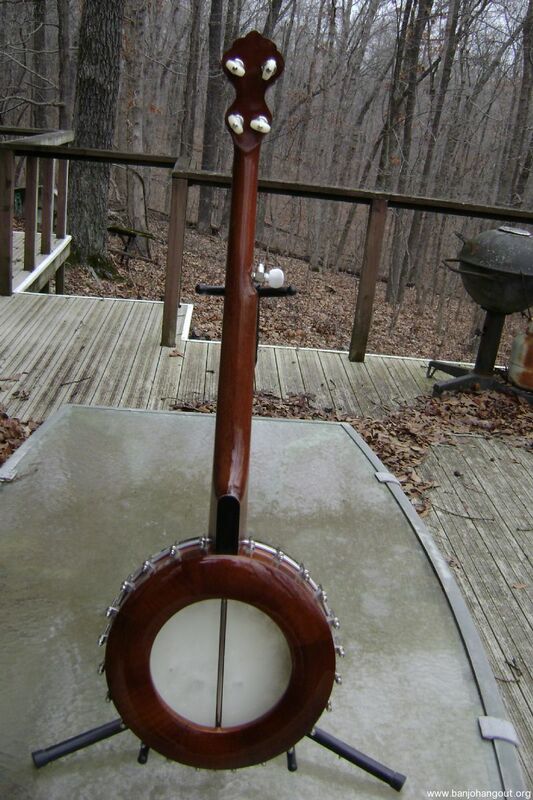 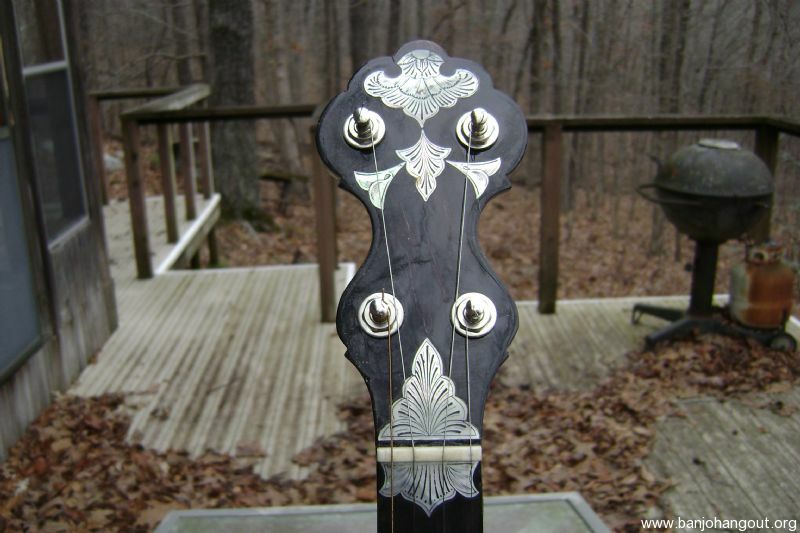 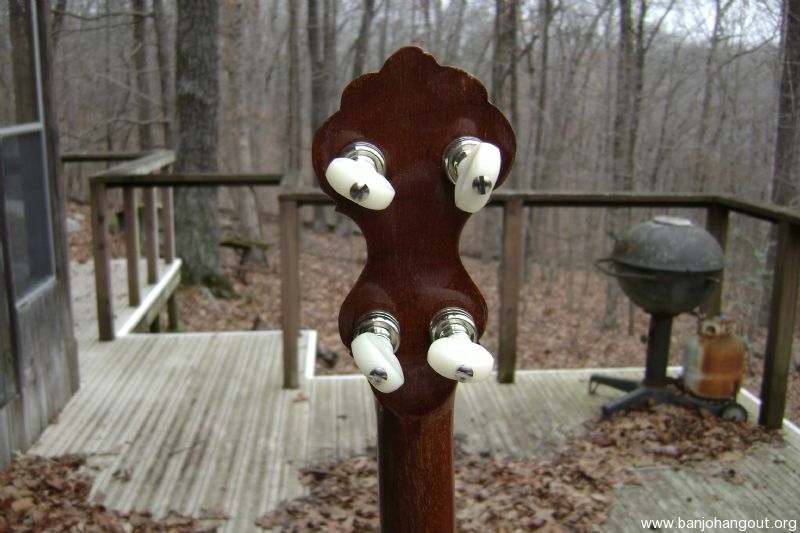 It has Gotoh Pegs, and no-knot tailpiece, and one of my Minstrel Bridges on it, and the neck is scooped for failing, with an internal resonator. 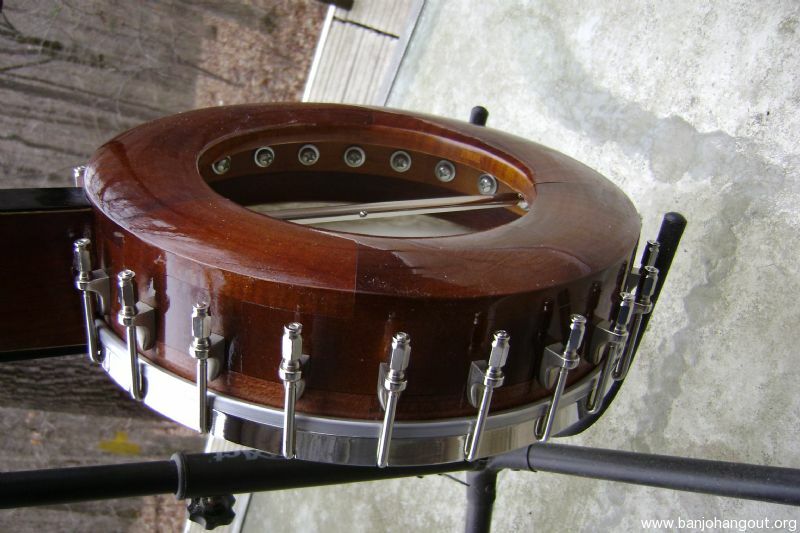 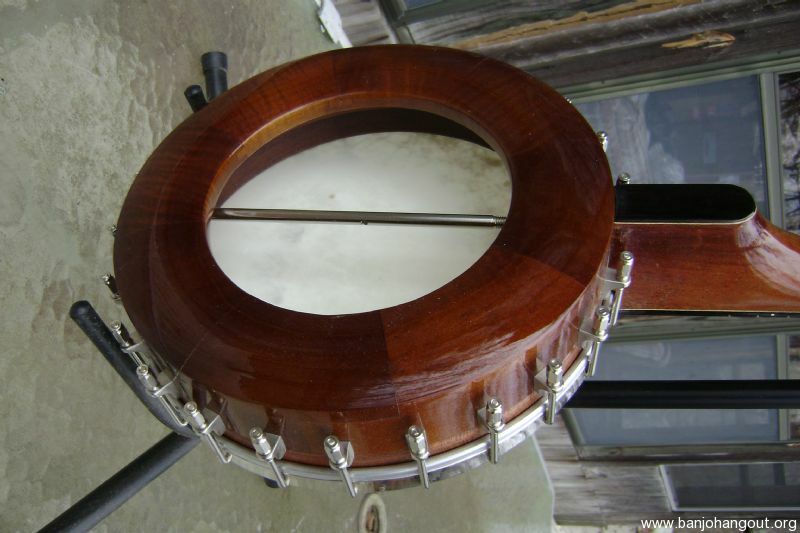 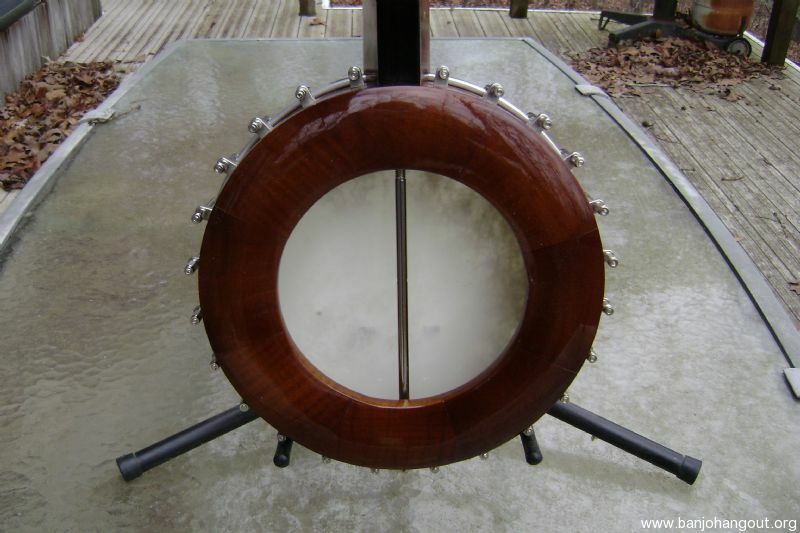 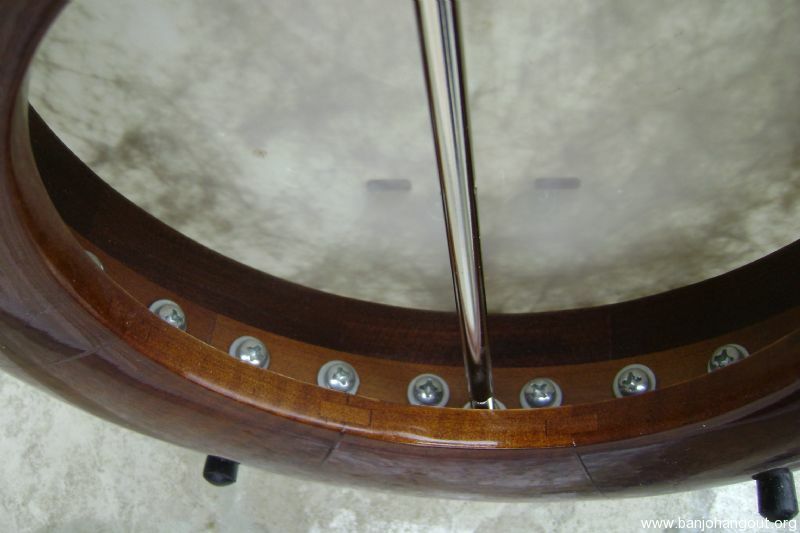 It doesn't have a metal tone ring, but the top of the rim is beveled like a Flat Head Tone Ring, and different wood than the rest of the pot is made out of. 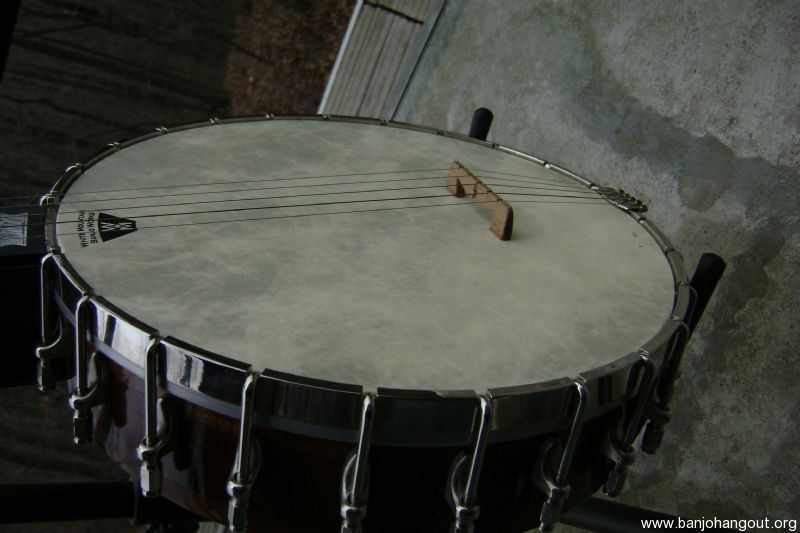 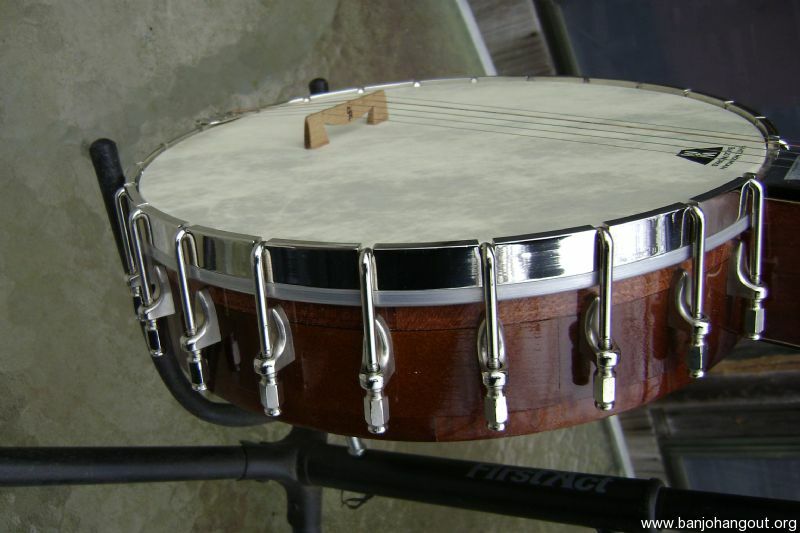 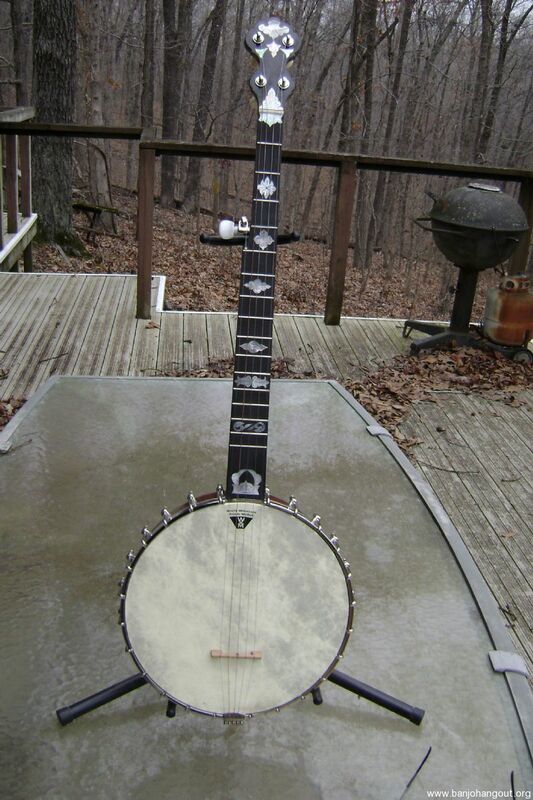 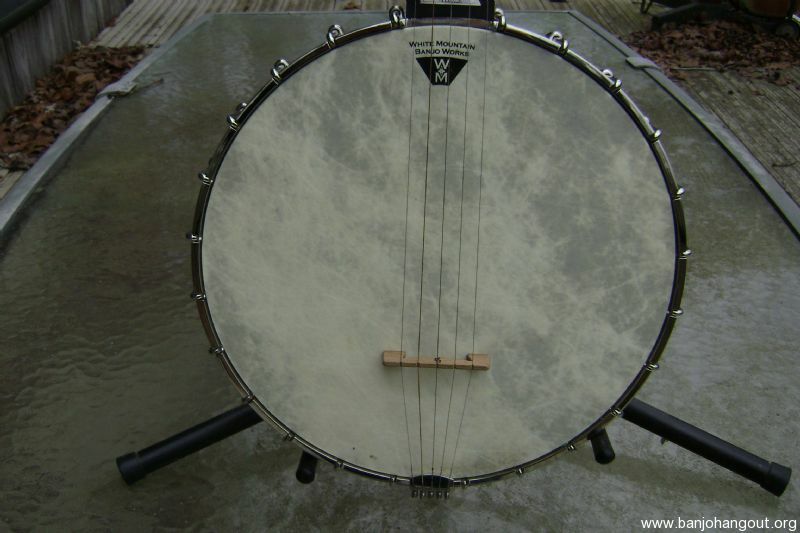 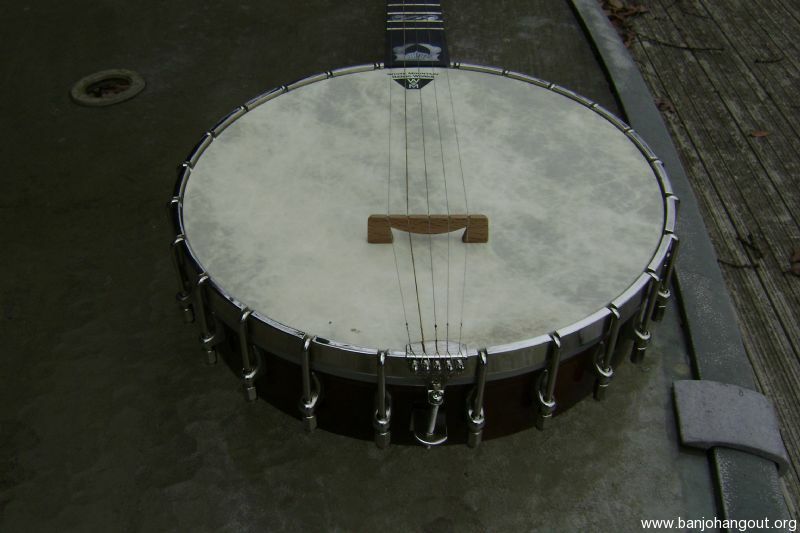 It is a beautiful banjo, with a very nice sound in my opinion, and ready to play right out of the box. 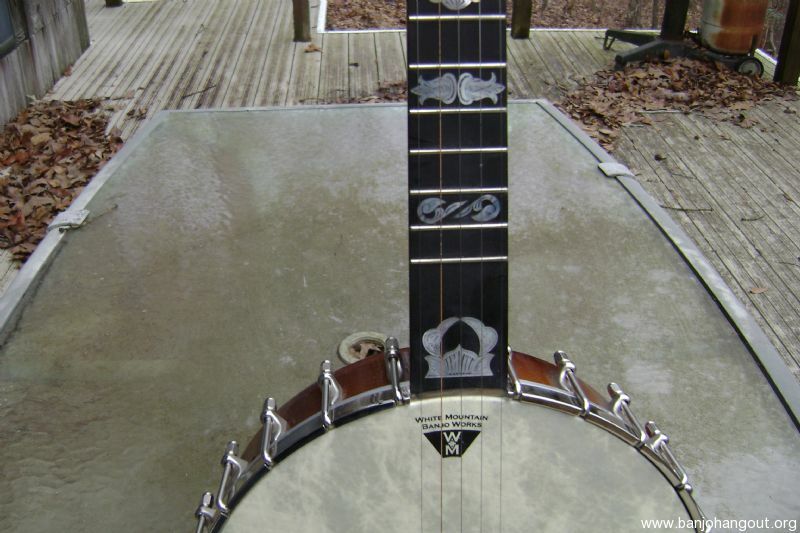 If you would rather have a Hardshell Case for the banjo, I will exchange the Gig Bag for a Hardshell Case for an additional $35 extra.